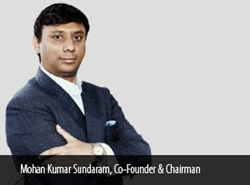 Mohan Kumar Sundaram, Chairman of PLINTRON Group accepted into Forbes Technology Council. Forbes Technology Council Is an Invitation-Only Community for World-Class CIOs, CTOs, and Technology Executives. Mohan Kumar Sundaram, Chairman of PLINTRON Group, A Technology Company offering Telco Network as a Service in 28 Countries for MNOs, Brands and IoT Businesses, has been accepted into Forbes Technology Council, an invitation-only community for world-class CIOs, CTOs, and technology executives. Mohan Kumar Sundaram was vetted and selected by a review committee based on the depth and diversity of his experience. Criteria for acceptance include a track record of successfully impacting business growth metrics, as well as personal and professional achievements and honours. As an accepted member of the Council, Mohan Kumar has access to a variety of exclusive opportunities designed to help him reach peak professional influence. He will connect and collaborate with other respected local leaders in a private forum. Mohan Kumar will also be invited to work with a professional editorial team to share his expert insights in original business articles on Forbes.com, and to contribute to published Q&A panels alongside other experts. Finally, as a Member of the Council he will benefit from exclusive access to vetted business service partners, membership-branded marketing collateral, and the high-touch support of the Forbes Councils member concierge team.